This printable blank September 2011 calendar has large squares for every day, allowing you to note all the tasks you need to accomplish every day. This September calendar is also great for helping multiple family members synchronize their schedules. Use this printable PDF calendar for work, school, and home! 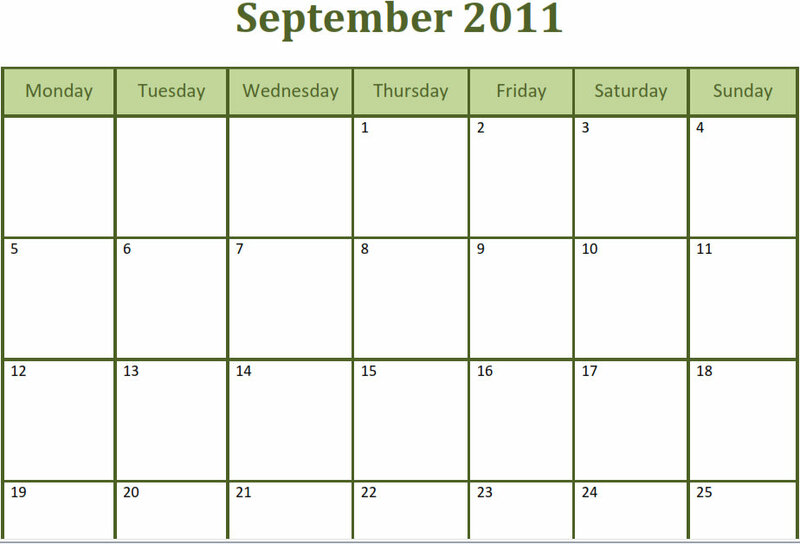 This September 2011 calendar’s simple design means that it is easy to use. If you’re looking for a straightforward way to help yourself remember upcoming events, this calendar is a great solution that will serve you very well. Download it and print it out today—it’s that simple. We’re constantly designing new calendars and templates, so check back often to find more helpful ways to organize your personal and professional life. We’d love it if you helped us get the word out about our site by posting this template on Twitter, Facebook, or Google Plus.